Lexar, a leader in advanced digital media and accessories, today introduced Professional UDMA (Ultra Direct Memory Access) memory cards, the latest addition to the company's award-winning Professional line of high-performance cards. 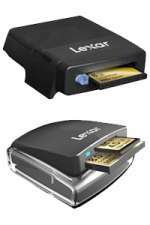 When paired with a UDMA-enabled device, such as Lexar's new Professional FireWire 800 Reader, UDMA cards improve the professional photographer's digital imaging experience by reducing the time needed to download captured images to a destination computer. 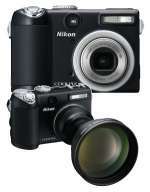 Nikon is pleased to introduce the CoolPix P5000 to the Nikon CoolPix Performance Series of digital cameras. The new CoolPix P5000 offers advanced functions, ease of operation, and high image quality that is sure to satisfy photo and camera enthusiasts. The P5000 boasts 10 effective megapixels, a 3.5x Zoom-Nikkor glass lens, an optical viewfinder, and an incredible, bright high resolution 2.5-inch LCD monitor with anti-reflection coating. 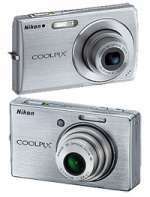 Nikon Corporation is pleased to announce the introduction of the CoolPix P3 and CoolPix P4. Two compact digital cameras combining an exceptional 8.1 megapixels of resolution with an array of advanced features, the CoolPix P3 and P4 take picture-taking enjoyment a step ahead. 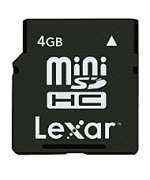 Lexar, a world leader in advanced digital media technologies, will introduce two new ultra-compact mobile memory storage products at the 3GSM World Congress, expanding its range to include a 4GB miniSDHC(TM) card and a 2GB microSD(TM) card. FinePix F31fd will automatically focus on and expose for faces, rather than details that lead to less-than-desirable photographs. Identifying up to 10 faces in a frame, Face Detection Technology ensures photos of friends and family are crisp, clear and properly exposed for a natural feel. It has an advantage over the few other face detection systems currently on the market as the technology is built-in to the camera's processor, enabling the FinePix F31fd to identify faces and optimize settings within a scant 0.05 seconds. 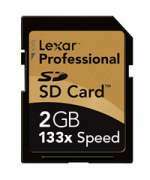 Lexar, a leader in advanced digital media and accessories, today expanded its professional product line with the introduction of a 133x speed-rated Secure Digital High Capacity (SDHC) flash memory card designed for professional and high-end amateur photographers who demand the freedom and flexibility to quickly capture a large number of high-resolution images with SDHC-enabled digital cameras. Delivering a minimum sustained write speed capability of 20MB per second, Lexar Professional SDHC cards allow photographers to capture more images while spending less time changing memory cards. SanDisk Corporation today introduced the microSD Multi SD Kit, bringing together in one package a microSD flash card with a miniSD adapter and a standard SD adapter, at the 3GSM World Conference 2007, where SanDisk is demonstrating products in booths 7C62 and 8C74. Fast, affordable and feature packed, all within a pocket-sized body. 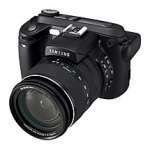 The easy to use PowerShot A430 is the perfect camera for newcomers to digital photography. 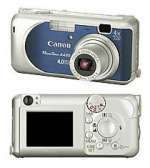 With a high resolution 4.0MP sensor and Canon 4x optical zoom lens the PowerShot A430 is capable of capturing images that will produce superb prints up to A4 size. Combining the high-end specifications of the EOS-1 Line and the operational ease of the EOS 20D model, the new Canon EOS 5D digital SLR is a premium digital SLR designed for a wide range of photographers. While a 35mm full-size image sensor is already available on the groundbreaking Canon EOS-1Ds Mark II camera, many photographers have been asking for a DSLR with a full-frame sensor that is smaller, lighter and more affordable. 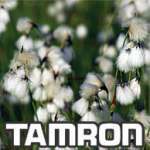 Tamron's Online Photo Gallery is an exciting new interactive feature of the Tamron website that lets you share your images with photo enthusiasts all over the world - for free! You can also read the star ratings and comments of other photographers, get technical data on each image, see which images are viewed most often, and of course post ratings and comments of your own. Nikon has announced the world’s first macro lens equipped with Nikon Silent Wave Motor (SWM) and Vibration Reduction (VR) systems. 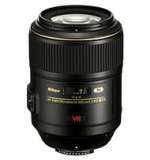 The AF-S VR Micro-Nikkor 105mm f/2.8G IF-ED lens offers advanced optical features and technologies such as Nano Crystal Coat, Extra Low Dispersion (ED) glass and Internal Focusing. If you don't need the speed or can't afford the expensive 85mm f1.4 Nikkor lens or both, then this lens may be the right one for you. 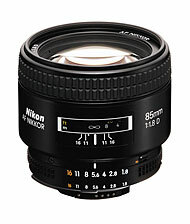 It took Nikon a while to produce a superb compact 85mm lens, but this time they finally got it right. 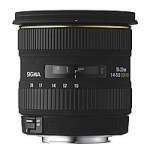 Without a doubt, this is a fine portrait lens for photographing portraits which has reputation for excellent contrast and resolution.